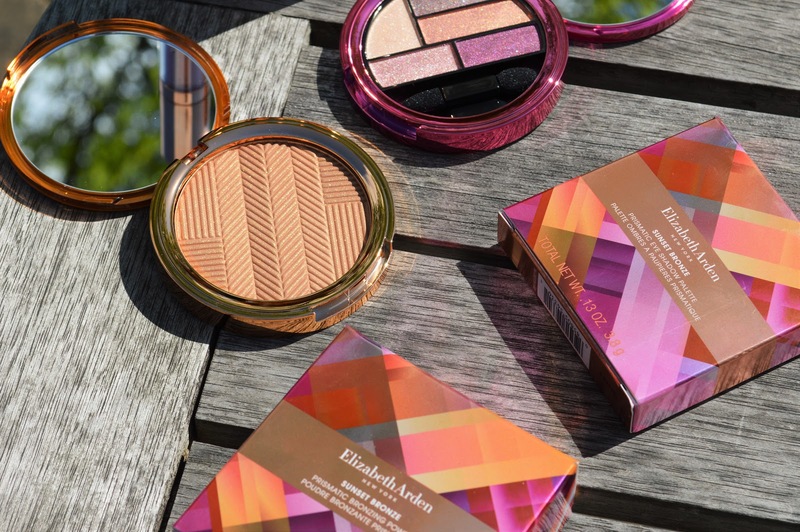 I love a good summer collection and the latest Limited Edition Elizabeth Arden Sunset Bronze Colour Collection 2016 is just flawless and has got everything right for summer! First of all the packaging is just amazing, I can’t describe how much I love it, and also how gorgeous it looks in photos. And with 7 stunning limited edition products that every girl needs in their collection, I can see this being a sell out! Now onto the products that I just can’t put down/stop Instagramming/Snapchatting (cheeky plug, snapchat: sophblumenthal). I am a magpie, and as soon as I got my beady eyes on this, I knew it was love, and is quite easily my stand out fave product from the collection! Infused with silica and mica minerals, the ultra-fine silky smooth powder can effortlessly transform and bronze up any look, delivering a radiant glow with a subtle veil of golden shimmer. 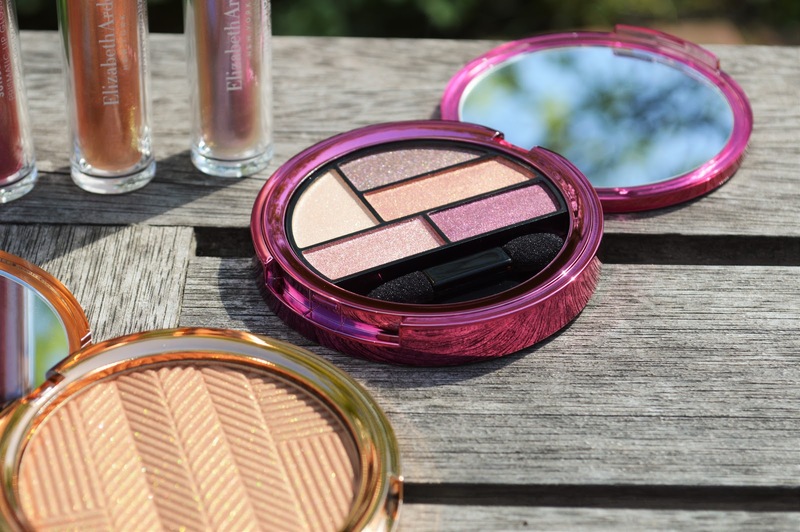 I also really like how the bronzer contains Argan Oil and Vitamin E which combined, help to prevent the over-drying of skin, which is perfect for the summer. 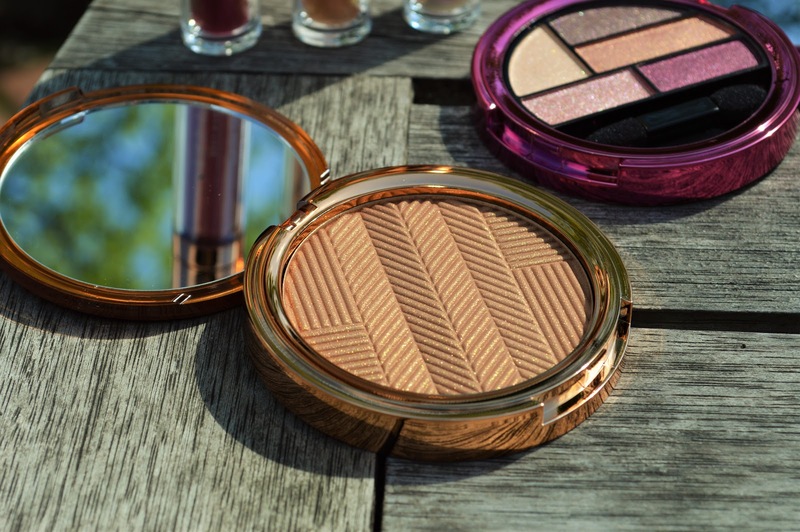 Housed in a gorgeous golden compact with a half-moon natural hair brush and generous mirror, this bronzer is a summer makeup bag essential! For me I think this palette is the most underestimated product of the collection but really deserves a lot more praise! 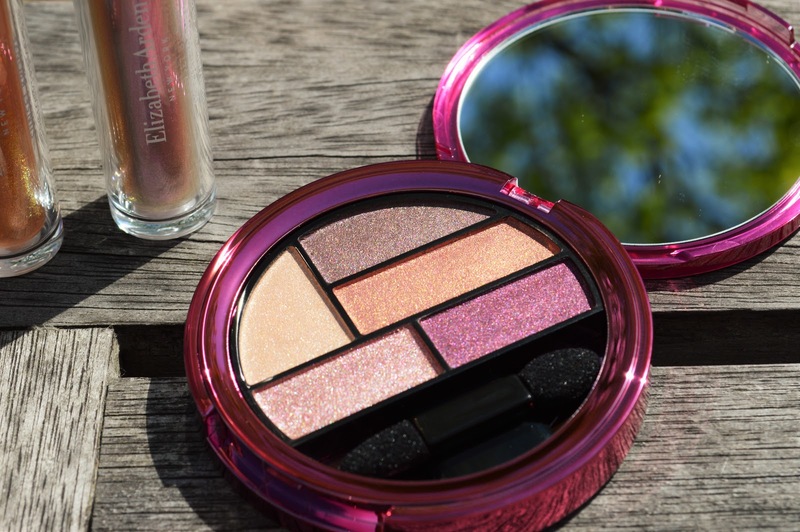 I love the pink packaging, and inside the compact is a large mirror and 5 gorgeously pigmented and creamy shadows. I actually really love purple toned shadows as I think they make my blue eyes look a lot clearer, and actually the palette is a little more peachy toned which is nice. I actually can’t pick a fave shadow from this palette as I think they’re all lovely and they work together so well, as well as working well alone! 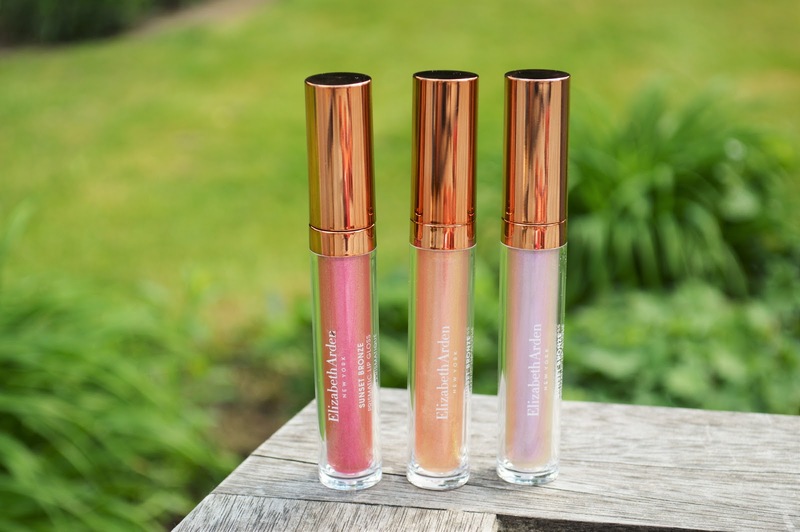 Now when I first saw these online I was a little dubious as glitter glosses are so very 90’s and I wasn’t sure whether them returning to shelves was a good thing or not – however these are not just glitter glosses, they have a certain magical iridescent shine and glitter to them which is lovely. 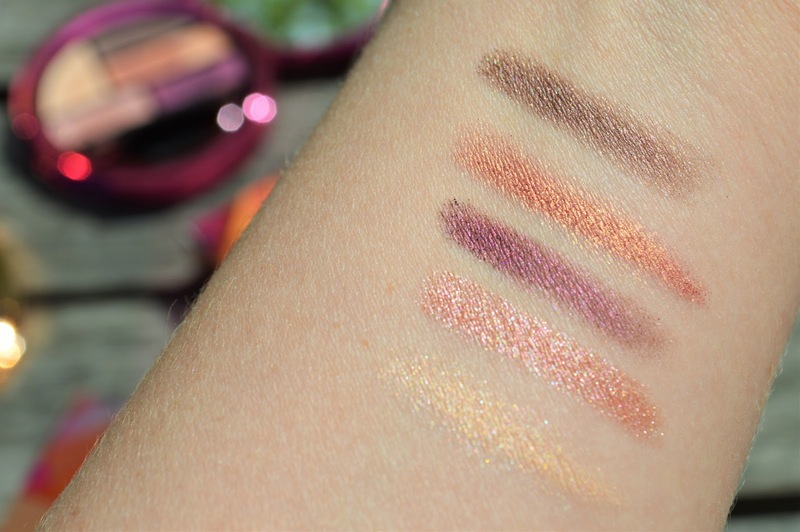 I found that when work alone, shades Midnight Kiss and Sunset Kiss looked fairly similar, with sunset kiss having a slightly more golden tone. I found that moonlight kiss was the shade that showed up most when worn alone, however I think it would suit the Christmas season much much more! 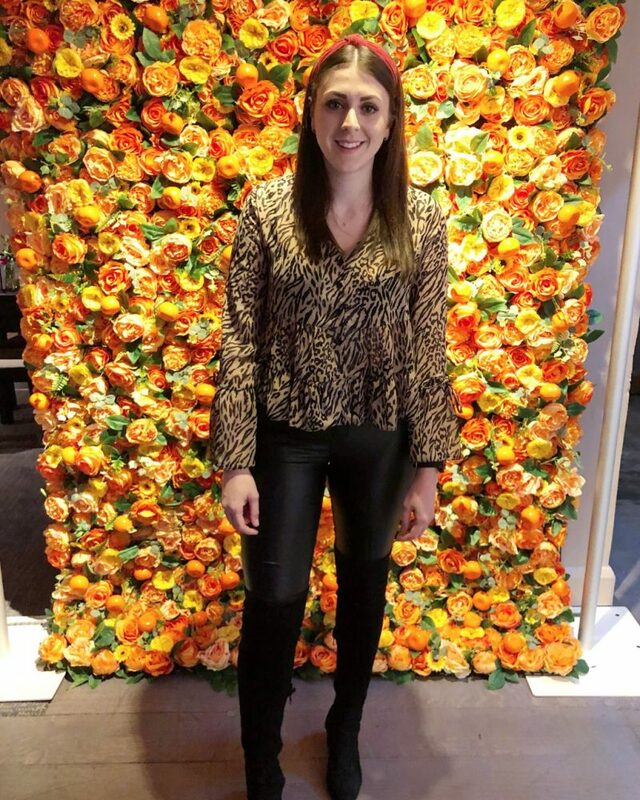 I personally like the understated glitter gloss look when worn alone, and when paired with a lipstick they really are quite show stopping – but perhaps a little too bold for me! These would make really fun holiday glosses, especially Sunset Kiss! 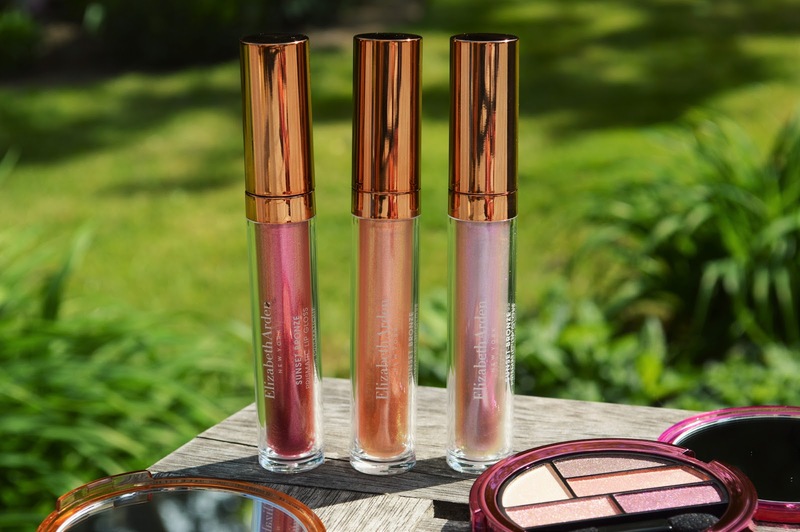 The formula of these are also super soft and moisturising and you can’t feel the glitter within the gloss, meaning the glosses feel really comfortable on the lips, another reason why they would make a lovely summer gloss.